Summer is the time of beaches and ice cream, heat and sun. But, unfortunately, not all summers are as sunny and warm as they should typically be. 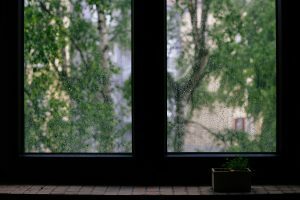 How many summer days have you spend looking out of the window, longing for the warm feeling of rays of sunshine on your skin – but all you could see were grey clouds and thick raindrops against your window? Surely not just one. However, even if rain and cold feet, wet streets and dark clouds aren’t the common traits of summer weather, that doesn’t mean that such a summer (day) is a lost one! 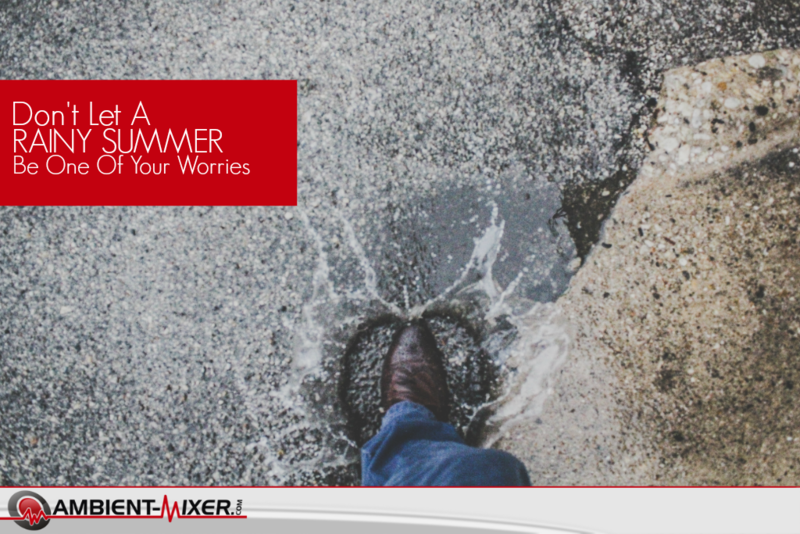 With the help of Ambient-Mixer.com you can make the most of a rainy day while maintaining the summer feeling. Of course rain is not everyone’s favorite weather. Especially when you have a BBQ planned, an open-air concert to visit or have to do some chores outside, it’s more pleasant if you can do all this in the sunshine rather than hiding under an umbrella. Following, we want to help to put a smile on your face even on such rainy summer days. First, we will have a look at rain sounds and rain itself and how we benefit from it. Then, we will see how you can bring summer and the summer feeling into your home. Of course the most obvious benefits of rain itself lie within nature. Plants need water to grow, and a refreshing shower of rain gives them the necessary water to survive some hotter and sunnier days. While this is absolutely true for the flowers on your balcony or in your garden, it also affects fruit plantations, crops, and forests and meadows across the country. Furthermore, rain cools off the earth after a few distressingly hot days. A fresh summer shower lowers the outside temperature and makes the upcoming heat a lot more bearable. Also, rain is a great “excuse” to stay at home or engage in some indoor activities like a trip to the museum. What if you are really sick of rain, however, and just want the “real” summer to start? 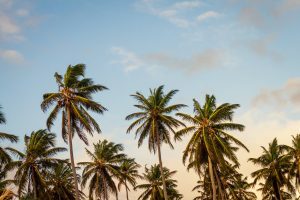 If the weather is not in your favor, it’s time to bring summer into your home! Mix some tropical (non-alcoholic) cocktails, help yourself to some ice cream or frozen yogurt, or mix a smoothie consisting of banana, pineapple and other fruits that represent summer for you. Who said that a deckchair can only be used outside. Put your feet up and flop into a deck chair in your living room. With the help of plants (small palm trees, preferably), you can recreate a tropical setting. If you pick up a daylight lamp from the local hardware store, you can even mimic the warming rays of sunshine on your skin – without getting sunburned! Now, all you need is a good book or magazine, or a pair of sunglasses to hide your relaxed, closed eyes behind. And the proper background music! All sorts of rain sounds Why Are Rain Sounds Relaxing?